This recipe has had a tweak recently as I was never really satisfied with the original. I'm glad to say though that I think I've finally got it right! I use a mixture of beef & pork as this makes them moist & juicy. 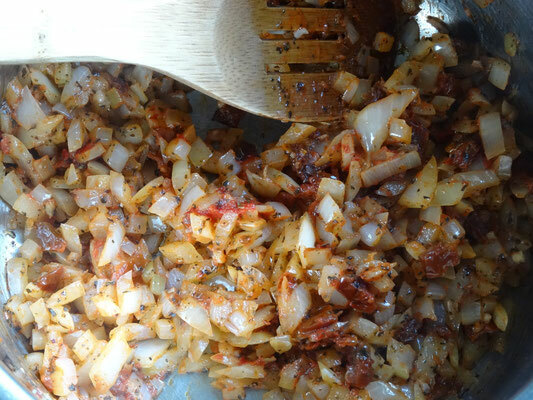 The tomato sauce definitely benefits from the addition of sun-dried tomatoes, you get a much deeper tomato flavour! 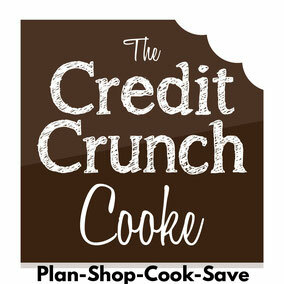 I buy mine from Home Bargains or Lidl where they are great value for money & a useful addition to your store cupboard! Also I recommend garlic powder for the meatball flavouring as it's easy to use & available in supermarkets. East End garlic powder is available in Tesco at 99p for 100g again, great value & another useful store cupboard ingredient! If you can't get any don't worry just use a couple of crushed garlic cloves. Heat 1 tbsp of oil & I tbsp butter in a large saucepan over a medium heat. 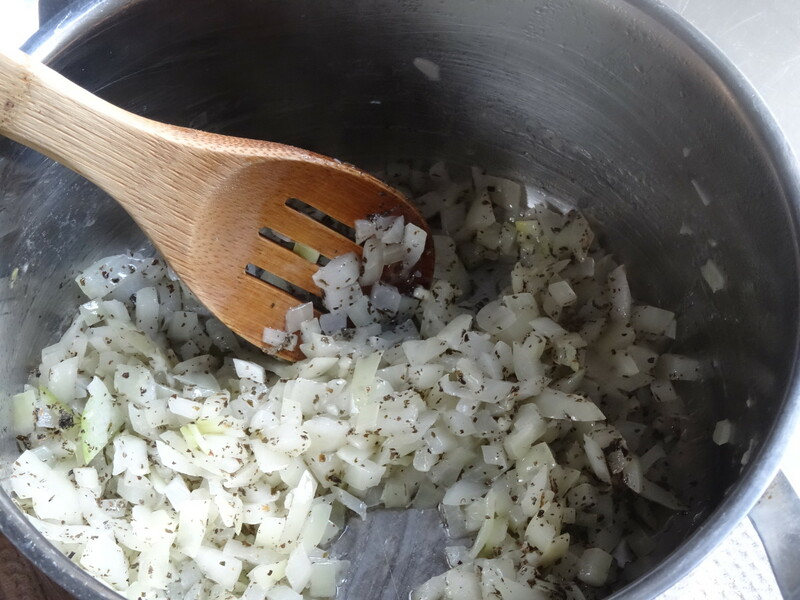 Cook the onion until starting to soften then add the garlic & basil. Cook for another minute before stirring in the tomato puree & sundried tomatoes. Cook again for one minute then pour in the tinned tomatoes fill the tin with water halfway & add that too. Allow to simmer for 5 minutes then season with salt & pepper & add the sugar. Simmer again for about 10 minutes until the sauce is reduced & thickened. Remove from the heat. 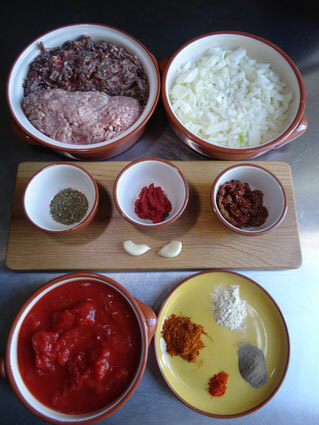 Place the pork & beef mince into a large bowl & mix together with your hands. 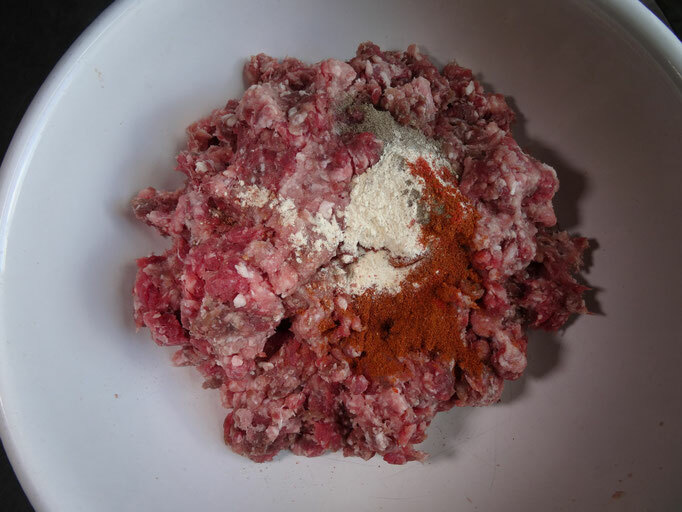 Add the paprika, cayenne, pepper & garlic powder to the mince along with a pinch of salt & mix again with your hands. *If you want to avoid getting any spices on your hands wear rubber gloves! 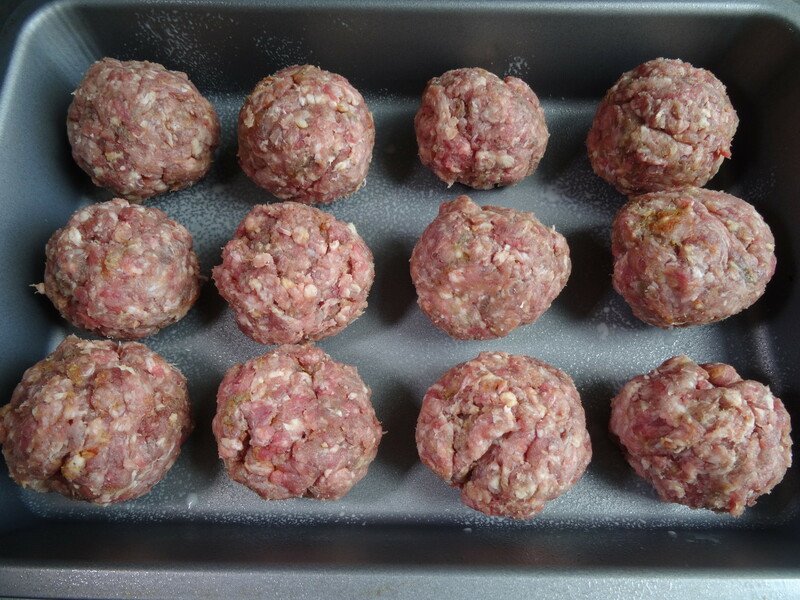 Once its all mixed together divide the mince into 12 equal pieces & roll each piece into a ball. Alternatively you can use an ice cream scoop, I find it so much easier & the meatballs are all nice & uniform! 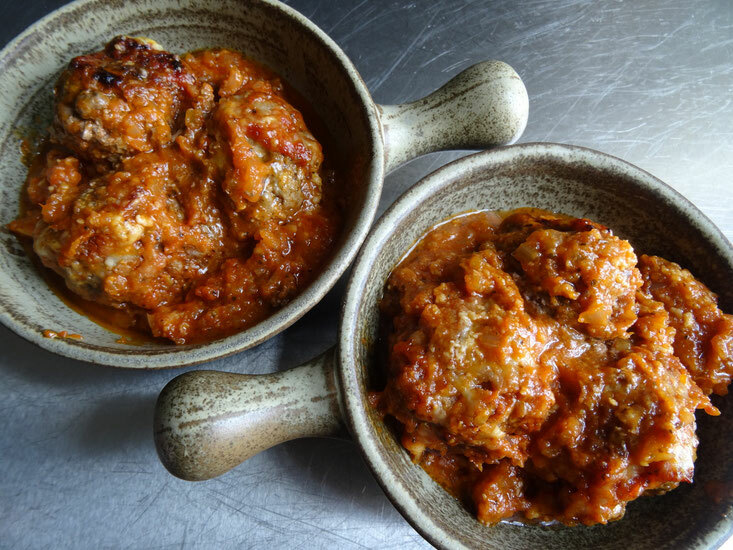 Put the meatballs into a baking tin or dish. 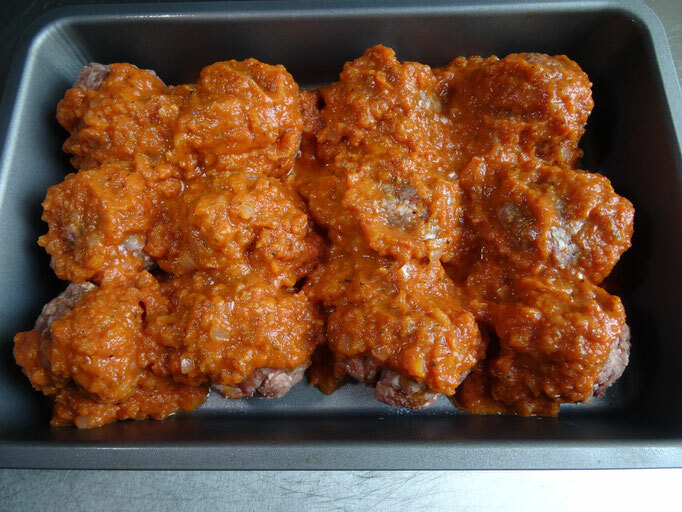 Now you can pour the sauce over the meatballs as it is or whizz in a blender to make it a little smoother then pour over. Cover the dish with foil & bake in the oven for 30 minutes. After 30 minutes remove the foil & top the meatballs with some grated cheese if you want to then return to the oven for another 15 minutes. Serve with garlic bread, corn bread, pasta or rice!